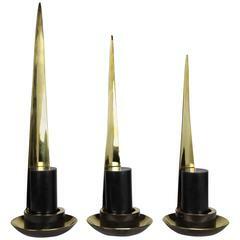 The Stiletto candleholders in brass are a collection of three. The severe yet soulful shape is inspired by women's beauty rituals. The light from the 6" height x 2.5" diameter black pillar candles brightens as the candle fades away and the base becomes wider. 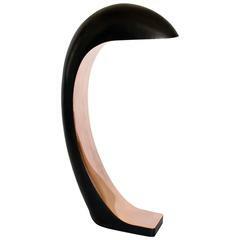 The shape of the flame is mimicked by the brass sculpture creating lots of movement and drama. 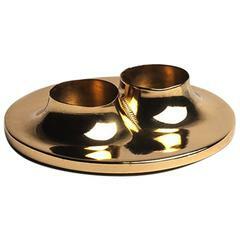 The back of the candle holder and base have an antique bronze finish. If turned away from the eye, the flame creates an ambient glow from behind. Made in Los Angeles. Dimensions: -17” H x 6.5” D -19” H x 6.5” D -22” H x 6.5” D Qty:Three black 6" height x 2.5" diameter candles included. 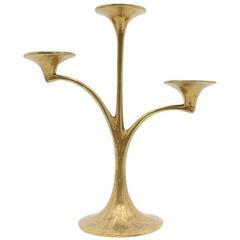 Nice solid brass candleholder, 1960s. Worldwide shipping. 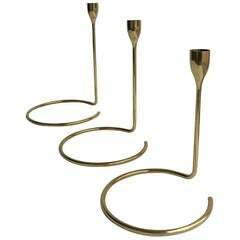 Danish solid brass candle holders, 1960s. 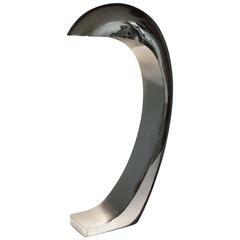 Three different sizes that you can position in verious forms. Jugendstil style pair of brass candleholders. 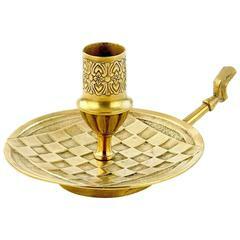 Beautiful 1950s handcrafted metal sculpture, candleholder, brass, made in Israel. 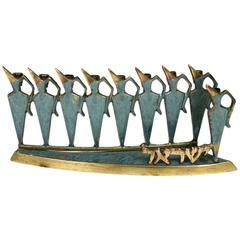 Hanukkah Menorah, Judaica. Good, authentic vintage condition. 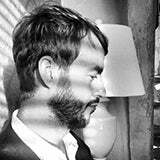 Insured free shipping worldwide!